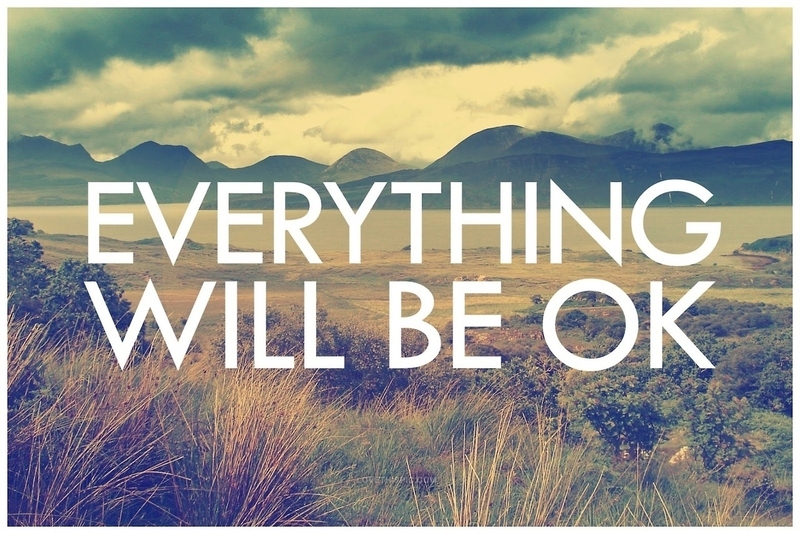 Never Lose Faith in the Future, Everything Will Be OK! When you are having a bad day, there are a few things that can make you feel better, from meeting a special friend to cuddling with a puppy. What can be helpful as well is reading some "everything will be ok quotes" to cheer you up and make you feel a little better about your life. You may end up re-thinking your whole life or making a life changing decision that will shape your future. We hope that after reading the following quotes, you can find the strength and inspiration you need to make the first step towards the better days. Destiny already has a plan for us and it may include a happy ending. Patience is a virtue and it’s worth waiting for the best days to come. Keeping a positive mind is the key. Time will give each one of us the happiness we deserve. Persist and you won’t be disappointed. Even if you think it’s the end of the world, it is not; the sun is ready to shine again. It’s a matter of attitude and positive behavior. Being faithful will help you getting through hard times. Tomorrow is a new day and anything could happen. When you help yourself, the Universe will help you even more. What’s haunting us today may be the cause of our laughs tomorrow. Starting the day with a positive mantra is the key to you and your loved ones’ happiness. We don’t know what’s happening next, but we hope it’s going to be something amazing. Do not deprive of your smile. Stop making plans and start living the day with joy and gratitude. Hold tight and things will go by in the blink of an eye. Don’t be sad about your weaknesses today; they may become your strengths tomorrow. Believe in the changes you want to see and they will happen. Work hard for your future, for a better day. Have faith and happier moments will arrive. Just a mantra to remind you that the best is yet to come. Being afraid is what makes us weak. Never settle for less than what you deserve! One of the most famous Bob Marley’s songs to let you know that, eventually, you will be fine. After all, the one big lesson you can learn from the Everything will be ok quotes above is that, if you have faith and you are strong enough to be patient, better things will happen to you and you will be ok, for sure!